You may not have a will, or a durable power of attorney, but if you have a disabled child or family member who will be in need of care once you're gone, you should absolutely leave your assets in a special needs trust. 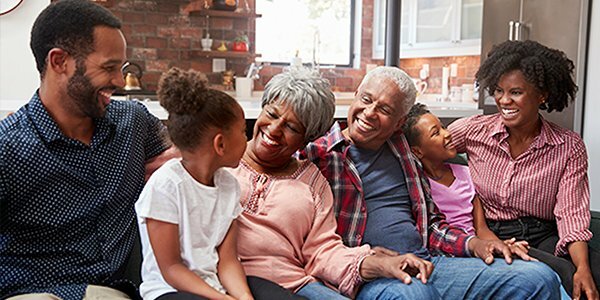 Designed to protect assets and provide for the care of disabled or mentally ill children and adults who lack the capacity to manage finances, special needs trusts are the premier estate planning devices for family members with disabilities. Here's how one can help. 1. Special needs trusts protect government benefits. An individual receiving disability benefits, subsidized housing, or Medicaid may no longer be eligible for services if he receives a lump sum of money. If an inheritance is placed in a trust, the government will treat it as though it doesn't exist. 2. Special needs trusts help maintain stability. Tasked with making living arrangements and providing for supplemental care, a trustee can help ensure that money is used to maintain the same standard of living. This includes keeping a relative in the same home, and employing the same caregivers. 3. Special needs trusts help maintain independence. Independence is very important for persons with disabilities, which is why many parents don't want their children in facilities or at the mercy of the state. A properly chosen trustee can help avoid state conservatorship, and ensure independent living. If you're interested in creating a special needs trust for your child or relative, contact an estate planning attorney. It's never too soon to plan for the future.